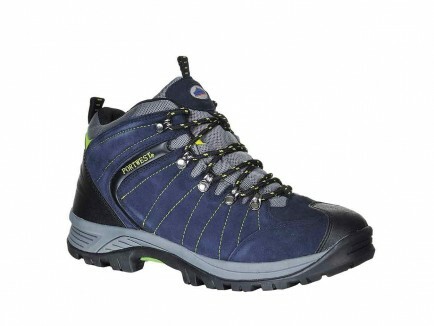 New from Portwest, a non-safety Hiker Boot offering great comfort. New from the non-safety range, the Portwest FW40 is a hiker style Boot with an eye-catching navy suede and lime colour combination. An energy absorbing heel provides great comfort and the rubber outsole offers slip resistance making this a great option for people who are on their feet all day. EN ISO 20347.